We are truly in gaming’s golden age. I remember when I first picked up the Nintendo DS way back in 2005, to be blown away by it. However, one of its launch titles was effectively an old Mario game, remapped to include touch controls, which concerned me. Don’t get me wrong, it was an excellent port of the original Super Mario 64, but this is when I first started to realise developers were experimenting with remaking older games, and it felt so risky. 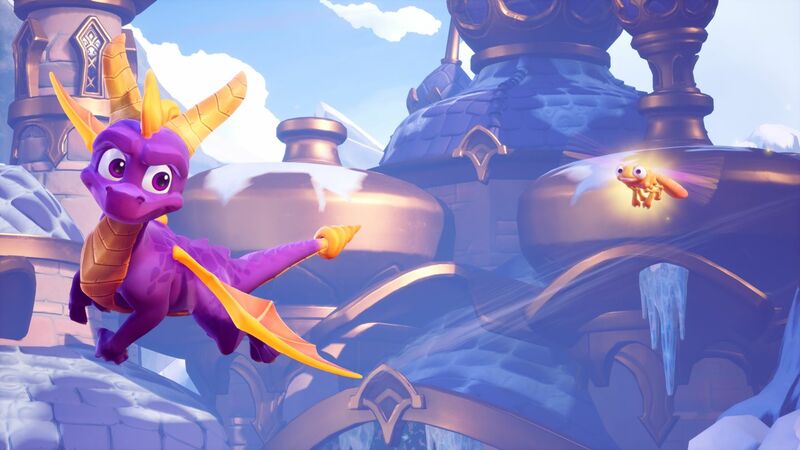 Fast forward 13 years and one of my most anticipated releases of the year arrives – the Spyro Reignited Trilogy containing Spyro The Dragon, Spyro 2: Ripto’s Rage! and Spyro: Year of the Dragon. It feels like a love letter to fans and a remake we can all agree the gaming masses have a huge appetite for. Now, before we glide in I must confess – as you have probably already guessed, I played Spyro’s games back in the PlayStation days and instantly adored them. I will, however, after spending a good 25 hours across all three games that are included here, try to remain as objective as is humanly possible for this review. Back in the mid ‘90s Sony entered into the console war, which was raging between Nintendo and Sega, delivering an incredibly successful hit with the PlayStation. Many characters became gaming icons and mascots of the era, and Spyro the Dragon was most certainly one of them. His games combined platforming, collectables and exploration in a charming and diverse world, whilst not worrying too much about the story behind it. When you land in the first world you will notice just how good the game looks, even more so if you remember the original. The environments are bold, colourful and swarming with charm. What also struck me is how platform games were caught in an unofficial formula of containing certain types of worlds to explore; fire, ice, desert etc. However, here the levels are genuinely different and feel utterly unique to the game. Spyro himself is beautifully animated; I found myself placing the controller down just to watch him muck about. In fact, there is only one word to describe him, cute. It’s not all about Spyro however, and the characters you meet throughout all the games are genuinely funny and individual. Whether they are allies or villains, their voices are also a perfect fit for the vibrant and comedic world they inhabit. Also, despite being over 10 years since last playing these games, I instantly recognised the soundtrack and a huge wave of nostalgia washed over me. This is testament to just how catchy and complementary to the game the music is; it’s another piece of the puzzle that fits perfectly. Spyro himself is weighted perfectly and a joy to control as he hops, sprints and jumps around the reimagined world. He has a floaty feel to his movements which is perfectly matched to his aerobic skills, and these are integral to navigating the many levels during his adventures. You start off with basic jump and glide abilities, as well as two types of attack; charge and fire breathing. You will learn more abilities as you play through each game, however the combat remains roughly the same. It’s simple but very satisfying. Depending on your enemy’s size and shape, you will need to decide whether to charge or use fire, as some are invulnerable to certain attacks. You can also barrell roll to dodge attacks as some enemies will be quicker and more deadly than others. All the games found in this Trilogy work the same in essence. You have to collect gems as well as other valuables throughout numerous worlds, alongside completing the main quest. A top tip; always check behind you when you start a new level! You will also find yourself saving your fellow dragons, collecting dragon eggs and competing in challenges including hockey and skateboarding. In addition there are special flying levels which pit you against the clock and are reminiscent of the classic Nintendo game, Pilotwings. Boss battles also feature, but again are slightly different as they are fully playable levels instead of the showdown being restricted to one area. Spyro is a tough little dragon, and is accompanied by his buddy Sparx. This little dragonfly is basically your health bar and he will dim in colour and eventually disappear meaning one more hit will be fatal. Thankfully though you also have lives, however if you take out little critters which populate the worlds, Sparx will regain his strength so running out of lives is never really a threat. The level design throughout is clever and well thought out, and it is once you clear the first hub world where things really open up and start to offer more of a challenge. You access individual levels from the hub worlds which allows the game to flow better than going straight from level to level, as these also contain collectibles and secrets. Areas that would be guarded by lazy invisible walls in other games will often contain hidden valuables, most probably the last 20 gems you need to 100% the level. Also, you may only notice a way to reach a seemingly impossible platform right at the very end of a level. It will mean you tracking back to pursue that 100% complete accolade, but also shows how subtly clever the level design is. The game displays how much is to be collected in every level so you can easily track your progress, especially if you want to find everything. When collecting gems you will come across various types of chests that will surrender their treasure in different ways. As well as all this, certain levels will contain skill points, which are obtained by completing challenges that can be viewed in your guidebook, alongside your collectables progress. The skill points will unlock artwork for the games as you collect them. It’s all good so far, and I only have a couple of very small niggles with the Spyro Reignited Trilogy. Firstly, the camera isn’t the best and can become quite irritating when trying to line up and charge. This is because the direction the camera is pointing determines the direction in which you will go. Only when playing the second game did one of the characters recommend I change the camera to the “active” setting instead of “passive”, and it was from here where the camera improved tenfold. In fact, I really do think that the game should default to the “active” setting from the word go and ditch the “passive” option. Regardless of which you select, you can free look in almost first person to study the landscape before continuing on. Secondly, and every now and then, mainly around the loading screens, the frame rate drops very slightly. This is only for a brief period but it is noticeable and slightly annoying. However, the loading screens are cleverly hidden as Spyro glides through the air when he enters and returns from different worlds. This impresses me now just as much as it did the first time round. 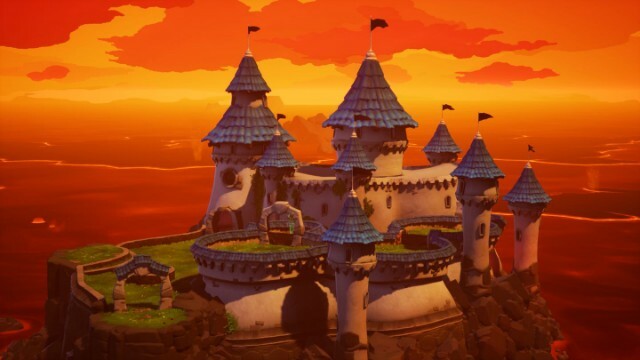 Each game in the Spyro Reignited Trilogy evolves and fleshes out the experience whilst keeping the fundamentals that make the Spyro games such a joy to play; they are absolutely spot on. The characters and story, Spyro’s abilities and the individuals that populate his world improve on every outing, but the core gameplay mechanics and style remain the solid foundation that they are built on. 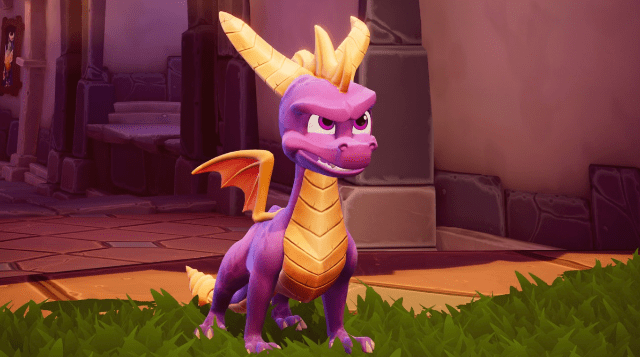 Toys for Bob and Activision have done a truly outstanding job of bringing Spyro into the 21st century whilst remaining faithful to his original adventures. It all comes together to ensure that the Spyro Reignited Trilogy is a beautifully realised remaster of the original titles which, thanks to today’s technology, fully matches the potential and ambition the games had in the 1990s. 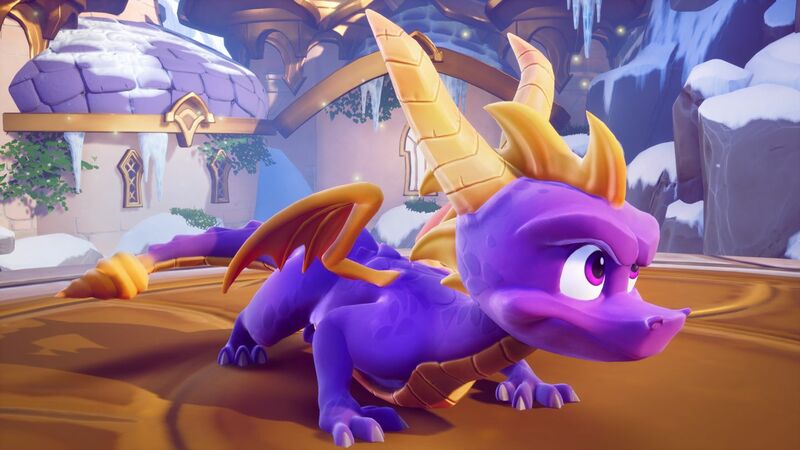 Fans old and new will find loads to love here, and who knows, after Activision’s success with Crash and now Spyro delivering the goods, we may see future adventures that can finally match the magic of the little purple dragon’s original trilogy.